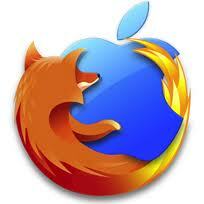 Once you have downloaded the Security Certificate, Open up FireFox web browser. 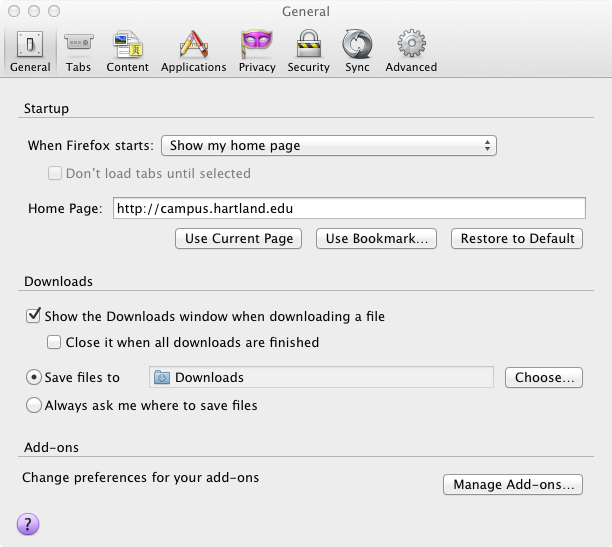 Once you have the browser open you must open your preferences. 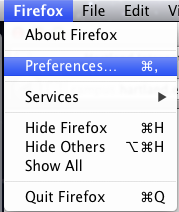 Goto "FireFox" and then select "Preferences"
Please click on the “Advanced” tab near the top right hand side of the window. 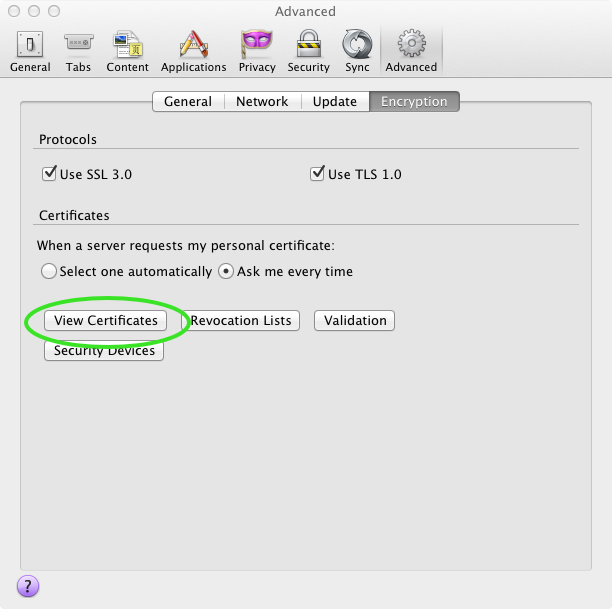 Once in the “Advanced” tab, you will need to select the “Encryption” tab. 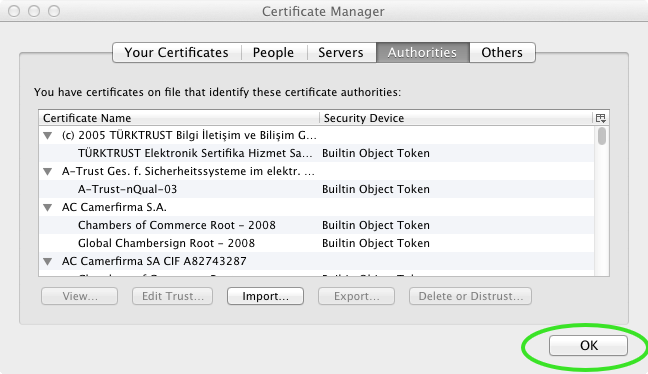 Once in the “Encryption” section of the Preferences tab, you will need to get into the “Certificates” area. To do this, click on the “View Certificates” button near the middle left hand side of the window. 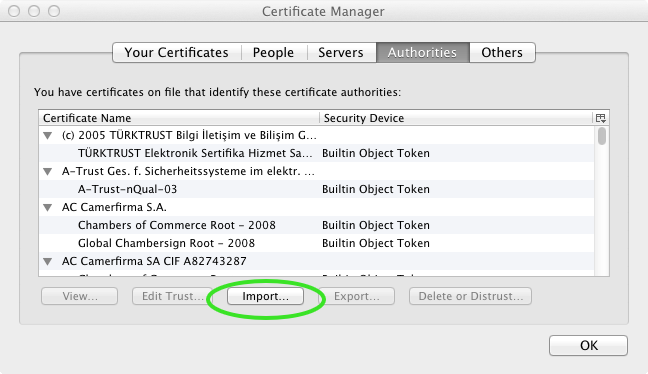 Please click on the “Import” button that you will find near the bottom center of the window that you are currently in. 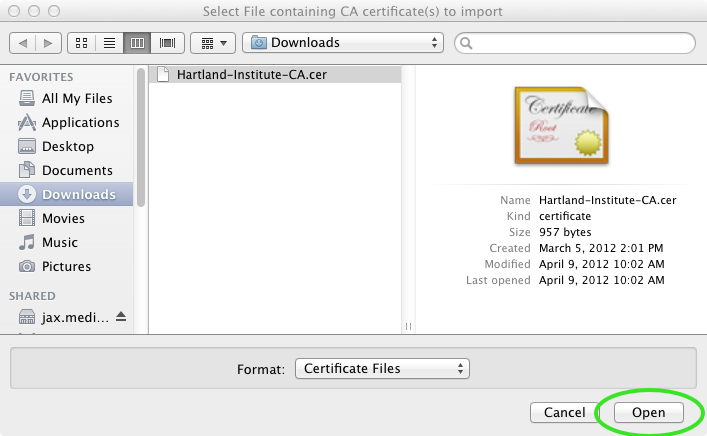 You will need to locate where you downloaded the “Hartland-Institute-CA.cer” file and select it. Once the file is selected, please click on the “Open” button near the bottom right hand side of your window. Please make sure to check each of the three boxes on this window. 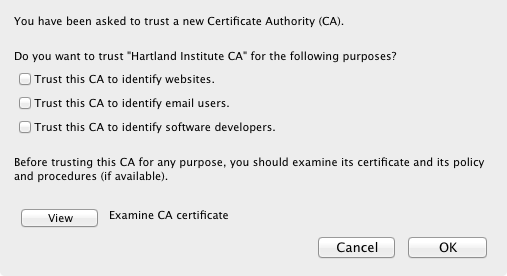 Once all three boxes are checked, please click on the “Ok” button near the bottom right hand side of the window to complete the installation of your security certificate. 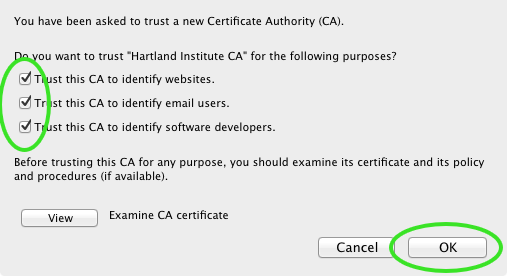 Now click the “OK” button to exit out of the “Certificate Manager” window. Next just close out your “Preferences” window, and you are ready to go! Enjoy!! !